I pledge to myself, my family, and my school that I will: Follow all school rules, take responsibility for my work and my actions, and show respect for myself and others. I will strive to be the best person I can be. 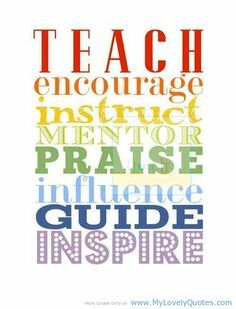 All students attending Crellin School, given the time and support from staff, parents, and community will become life long learners in our ever changing society. 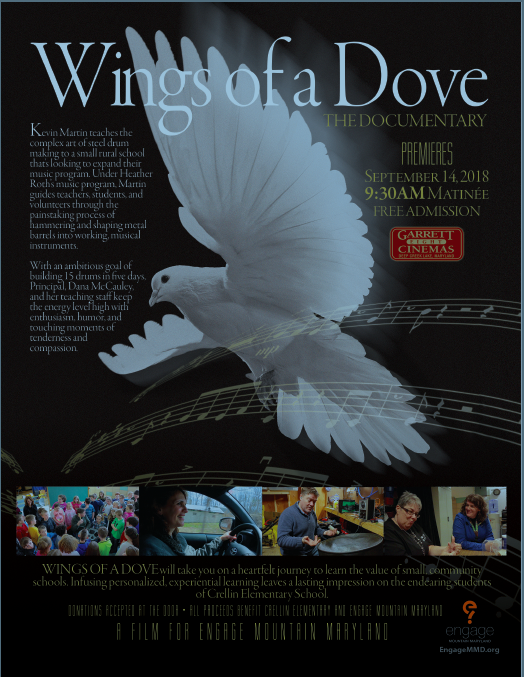 A locally produced documentary, WINGS OF A DOVE will be premiering at Garrett 8 Cinemas on September 14 at 9:30AM. The documentary dives into a special project at Crellin Elementary School where the students, teaching staff, and volunteers joined together to build their own set of steel drums to expand their music program. Under the guidance of Kevin Martin, the school breaks new ground by building the instruments, learning to play them, and maintaining them using specialized tuning equipment. Crellin Elementary School teaching principal, Dana McCauley developed an earlier working relationship with Martin this year after inviting him in January to teach her school’s students how to play the steel drums. Martin recently located his factory, Rockcreek Steel Drums, to Ocean City, Maryland where he makes the instruments as part of his teaching and musical performing career. He is one of roughly 100 steel drum makers worldwide, so bringing this specialized art form to Crellin was both unique and inspiring, according to McCauley. Throughout the week, Martin led workshops in building the instruments from industrial metal drums that were generously donated to the school. What he referred to as “The Crellin Steel Drum Factory”, Martin helped students, teachers, and volunteers set up stations to hammer barrels, cut out stands, shape the notes, and tune each drum so they would be concert-ready by weeks-end. All the while, Martin also led classes instructing students and teachers to perform several songs for a Friday concert. “I was so impressed with how organized and methodical Kevin’s process was,” said Roth. “He had the steps figured out and timed to get everything accomplished in such a short period of time.” The schedule was ambitious to build 15 steel drums in just five days. Martin brought his own set of steel drums on which students could practice and rehearse while their own set was being manufactured. At the time the two first made contact, the growing season was coming to a close and video opportunities were fading. McCauley said she would contact Stutzman if something popped up that would be of special interest. The steel drum workshop filled the bill and gave new purpose to the original video concept. The morning showtime at Garrett 8 Cinemas will allow all 134 Crellin students to attend the premier as a field trip outing. “We want to invite everyone to attend but especially educators and those interested in arts education,” said Roth. “Music is a special way of connecting with students. There’s a lot we learned in that one short week that I'm anxious for others to see." Watch the four videos that show what is happening at Crellin! Click the links below to read case studies and articles about Crellin Elementary.